Some of you older kids might recall this song from the late 1970s into the 1980s as being used in commercials for Heinz Ketchup. Anticipation was written and performed by Carly Simon in 1971. She wrote the song in 15 minutes on her guitar, while waiting for Cat Stevens to pick her up for a date. The pair had become romantically involved shortly after Simon had opened for Stevens at L.A.'s Troubadour around the time her debut album was released. Carly Simon was born in New York city. Her father was Richard L Simon (co-founder of Simon & Schuster). Her father was also a pianist who often played Chopin and Beethoven at home. Her mother was a civil rights activist and singer. Carly was part of a short-lived music group with her sister Lucy, as The Simon Sisters. Carly wrote a second song about Cat Stevens "Legend in Your Own Time"
She had breast cancer, but for years she refused to have the lump removed. It wasnt until her long-time friend Linda McCartney, who also had breast cancer, passed that she had the mastectomy and underwent chemotherapy. I am super excited to tell you about an upcoming Challenge that I am participating in. When I first saw this particular challenge almost 2 months ago - I wanted it to begin right then and there. The anticipation of this challenge has been KILLING me! 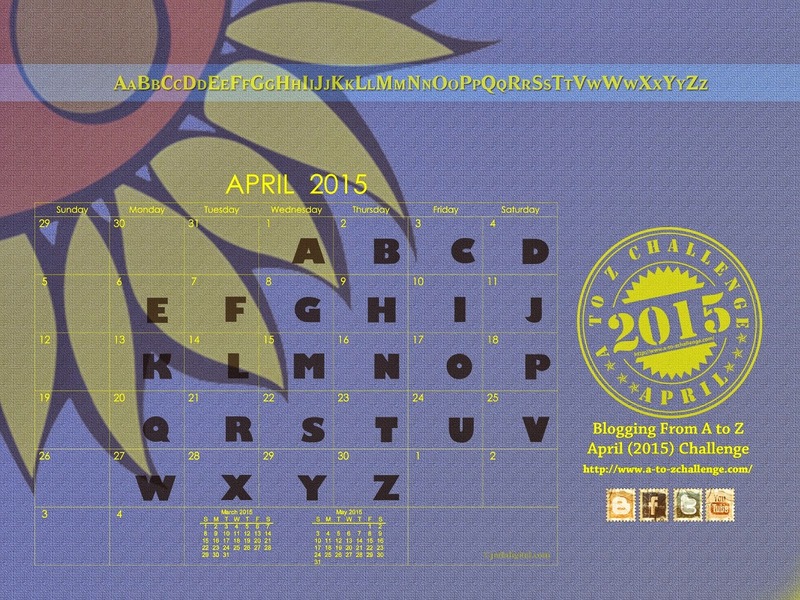 The challenge is called Blogging from A to Z. Are you familiar with the author, Sue Grafton? She writes a best selling series of detective novels known as the "Alphabet Series" that started in "A" Is For Alibi up to her most recent "W" Is For Wasted. The Blogging from A to Z Challenge goes along the same vein. The Challenge has given specific dates for each letter of the alphabet to follow, so I had to adjust my regular schedule just a smidge, but all will work out in the end. Of course, being that the topic of this blog is music and artists and the stories behind them, You can expect some great posts that will hopefully make you a little bit nostalgic and take you down memory lane. You might even find a hidden nugget along the way and discover a new to you artist or song. Can we just skip the next few days,and let it be April 1 already? The anticipation... it's making me wait!